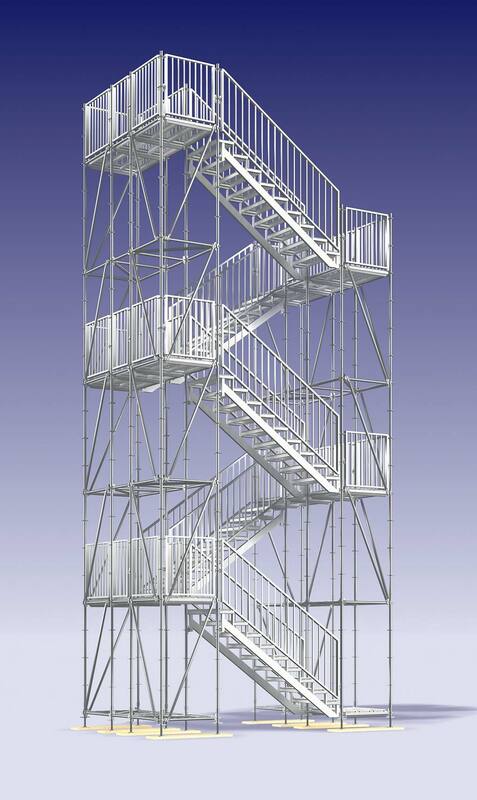 A choice of Layher stairtower systems is available to provide a range of load bearing capabilities, with safety and versatility key benefits. Simply assembled, almost any application requirement can be met – from lifts shafts and compact spaces to site stairs and public access facilities. In all cases, stairtower selection benefits from a choice of purpose-designed accessories and additional features that enhance site efficiency and performance. 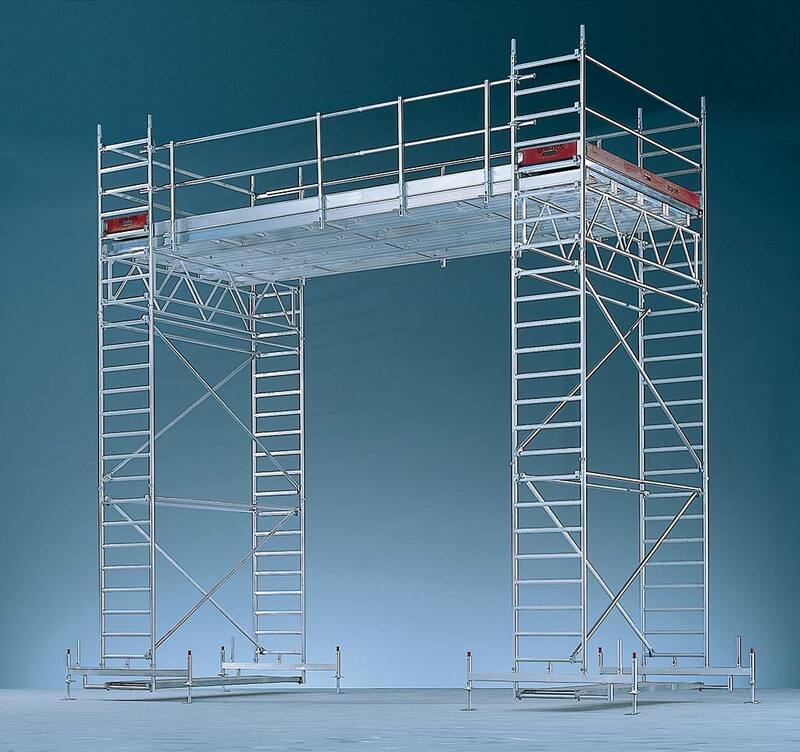 Layher PASMA-accredited rolling towers provide versatile access for work at a range of heights. Indoor and outdoor applications gain from designs that are safe, sturdy, simple to use and easy to assemble. A choice of working areas and heights is available to provide freedom of movement and adequate room from tool storage where required. With heights up to 13.6 metres and loadings of up to 2kN/m2 possible, installations gain from a simple snap-on claw connection, durable braked castors, base extensions and a choice of access methods. 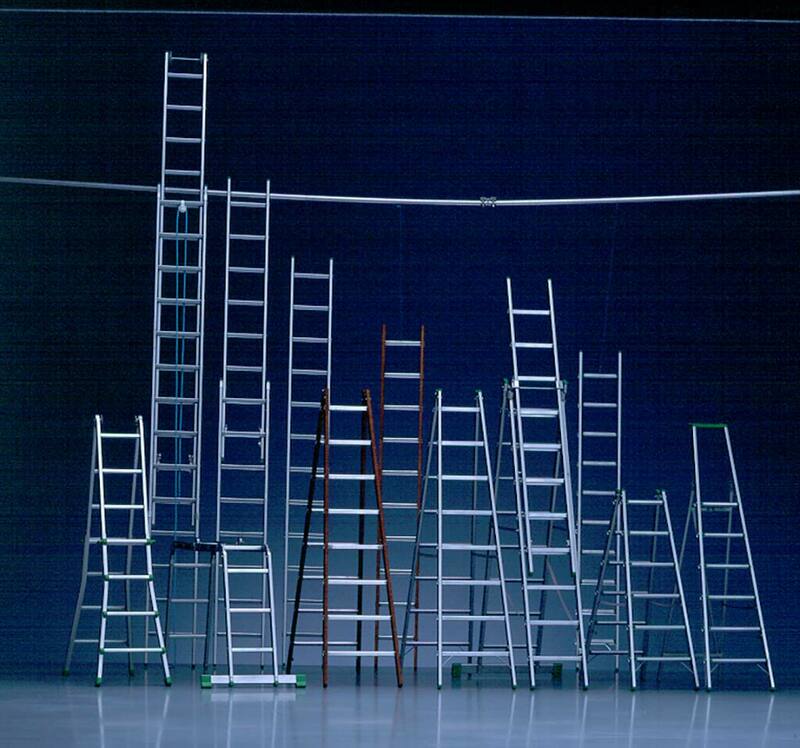 Layher ladders and steps offer robust construction using either steel, aluminium or wood with maximum stiffness, stability and tread safety key features. Single ladders or rope operated extending options are available with a choice of step widths whilst specialist variants include trestles, telescopic ladders and even ‘car-boot’ designs. A choice of accessories including toolboxes, suspended steps, gutter holders and wheels can also be provided.